From the classic story by Hans Christian Andersen. 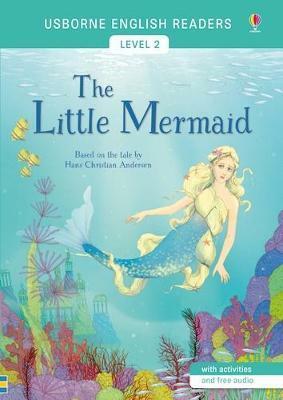 The Little Mermaid longs to swim to the ocean surface and visit the human world. When she saves a human prince from a shipwreck, she decides to take human form herself, whatever the price; but heart's desire and heartbreak are never far apart. The Usborne English Readers series is a new range of graded readers in simplified English for younger learners. They include activities, glossaries and a full audio recording of the text in both British English and American English.